There’s no such thing as an easy $3 million, argues Peter Fuller. How will Australia’s creatives meet Austrade’s call for expressions of interest to create a new nation brand? As one of Australia’s brand communication agencies we welcome Austrade’s call for expressions of interest to create a new nation brand. Unsurprisingly the brief requires a lot for the price tag of $3 million. It calls for branding and marketing techniques that enhance Australia’s reputation as: an internationally competitive investment destination; a great place to visit; a quality provider of education; and a trusted exporter of premium-quality goods and services. It is also good of Austrade to acknowledge that it won’t be easy. A slightly tougher challenge, perhaps, than bringing home the World Cup. Based on past experiences, the first thing the brand process will have to grapple with is our own cultural cringe – who we are and how we see ourselves versus how our target audiences see us. Every brand has to come from an authentic story. That’s why Paul Hogan’s “throwing another shrimp on the barbie” worked for Australian tourism in the 1980s because there were lots of Hoges lookalikes in footy shorts and singlets in those days and they were indeed barbecuing prawns (along with their lamb chops). It remains to be seen if Tourism Australia’s Crocodile Dundee reprise, which featured at the US Superbowl a few months ago, will have the same effect, given that it started with a white lie. In this case its resonates with potential tourists because it re-affirms what Americans actually believe to be true about Australia (whether we like it or not). But good storytelling aside, at the end of the day there’s a big difference between marketing Bondi Beach and marketing a university MBA. Austrade’s own Australian Unlimited campaign in 2010 worked for barramundi and beef and perhaps business technology, but just like “Where the bloody hell are you?” it asked more questions than it answered and lacked a perpetual and enduring call to action. “Unlimited” – in marketing terms – means confusing and bewildering. In an Australian McDonalds it sounds disingenuous and smarmy – in an American Midwest supermarket it is symbolic of everything these nice, homely people truly believe in. Delivered in that soft West Country lilt, you can’t help but get the feeling that they really do want you to have a safe and healthy life – something denied many of their descendants during the mid 1800s famines. The same thing happens in New Zealand. This little country that punches above its weight in trade and tourism, generated possibly the best brand tagline in the world a decade ago. 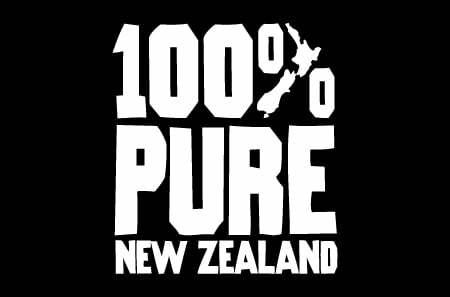 “100% Pure New Zealand” seems to eloquently sum up everything there is to love about Kiwi – pristine, clean water tumbling through mountains so green, dotted with sheep so white that you feel like rolling around in it with them. New Zealand has convinced the world that its snowfields are cleaner, its lamb is juicier and its milk is whiter than anywhere else on the planet – and even its Sauvignon Blanc is the world’s default white wine. But no-one greets you with “100% Pure”– it’s a great slogan but you can’t get everyone to say it or even believe it. What you do hear most Kiwis say is “Kia Ora”, the Maori greeting that has gained widespread usage – from the pilot’s welcome aboard Air New Zealand to the opening of a rugby match (with a little more gusto accompanied by fist waving and tongue wagging). It’s a humbling nod to reconciliation that Australia is yet to learn. So, what is Australia’s default greeting? “G’Day mate” is widespread but a bit too much of a Cockney derivation to be completely and utterly ours. “How are you?” is a common if confusing query for newcomers, who are unsure how much detail to provide to a stranger about their mental or physical health. There’s also the new “Too easy”, a millennial response to a request for service, that leaves the unfortunate customer feeling that if a latte was that easy why are you charging me for it? From the bum-crack plumber peering under your kitchen bench; to the crash repairer tugging his goatee beard while assessing the damage to your Holden; to the farmer faced with 1000 sheep to shear; to the heart surgeon waving you goodnight as the sodium thiopental creeps up your arm, we expect everything is going to be OK. It neatly sums up our laconicism and relaxed attitude to life. It describes our broad acceptance of life’s challenges – whatever is thrown at us we can handle. It is a reminder that in truth we are a lucky country – and that we will do well. The first words every new Chinese student working a part time job in a local IGA learns are “No worries”. The first phrase that Delhi-born cab drivers and Mumbai-born service station operators learn is “No worries”. And why wouldn’t it be – our free health care and schools and pretty safe streets and air-conditioned houses and abundant fresh food makes us indeed the most worry-free environment in the world. “No worries” seems to be Australia’s universal salutation. It tells the world where we are from and that nothing is too much trouble for us. Discover penicillin or an immunisation for cervical cancer. No worries. Create better red wines than you can get in France. No worries. Offer the safest and best secondary and tertiary education in the Western world. No worries. Build the biggest banana? No worries. Develop a new brand for Australia? Peter Fuller is managing director of Fuller agency. In a three hatted restaurant I was paying over $150 for a three course meal and I asked for my shiraz to be topped up. The reply was “no worries”. I could only have been in Australia. It is such an informal but reassuring term. I doubt our laid-back Aussie design culture is going to embrace a ‘no worries’ attitude with crowdsourcing attempting to derail the party. I’m not convinced the right response to a brief focused on “creating a new nation brand” is to chuck Australia a new tagline. This is a big brief that demands a big response. It demands that we find fresh insight into what’s driving our country forward and what its future might hold; that we pull in perspectives from far and wide; that we consult every citizen and capture every hope and every aspiration. Then we can define the value that modern Australia has to offer the world, articulate its proposition and forge it a new narrative. After that, we should think about the brand’s expression and I dare say any well worn colloquial phrases will probably be unfit for purpose. Put simply: I love it. I say it unconsciously some many times a day, and it’s such a unique, relaxed phrase. Completely agree that the task is more than just coming up with a fancy slogan, but to “consult every citizen and capture every hope and every aspiration” is exactly how not to make decisions and how not to create a tight, differentiated brand. A brand simply can’t be everything to everyone – or it ends up being nothing to nobody. We need an actual positioning (not just a line) that is truly representative of who we are and how we want to be perceived.